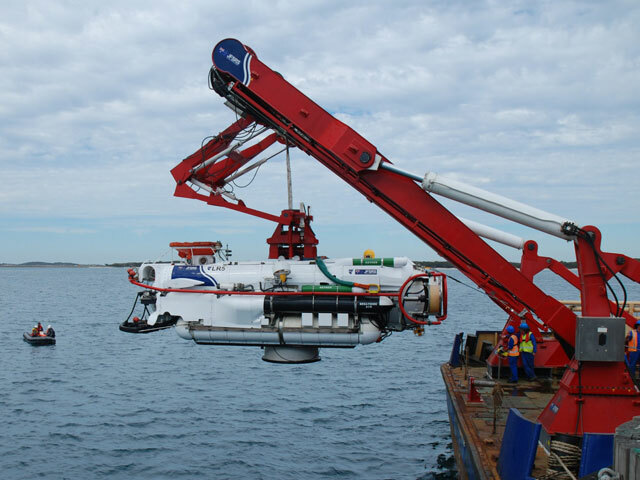 The ADF contracted Submarine Escape & Rescue System is based at Henderson in WA. The LR5 System is managed by James Fisher Defence. The operating team of pilots, engineers and technicians maintain & upgrade the system. 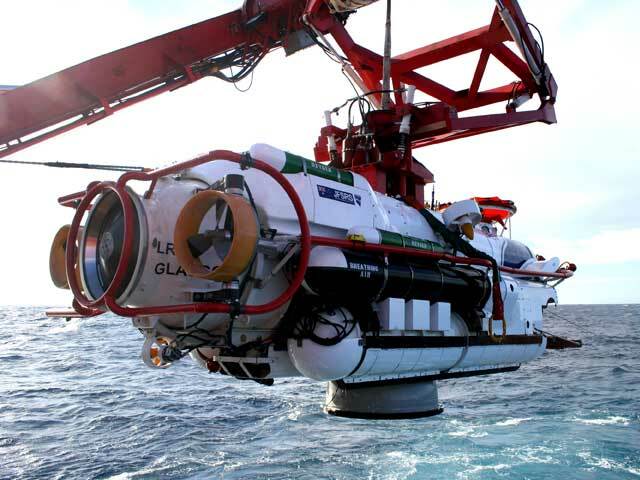 The 21.5 tonne LR5 vehicle normally carries three submersible crew members, the pilot, a co-pilot and the systems operator. Up to 16 submarine survivors can be evacuated at a time to the mother ship or to a mother submarine. The LR5 could make up to eight trips to the distressed submarine (a rescue capability of 120 personnel) before needing to recharge the battery power supply. James Fisher Defence maintains a computer register of ships capable of acting as the Mother Ship (MOSHIP) to host the SUBSUNK Rescue Suite. The LR5 System can be air lifted by a military or civil transporter aircraft for example by C-5 Galaxy or Antonov and a 747 and then transferred to port for speedy installation on the MOSHIP. 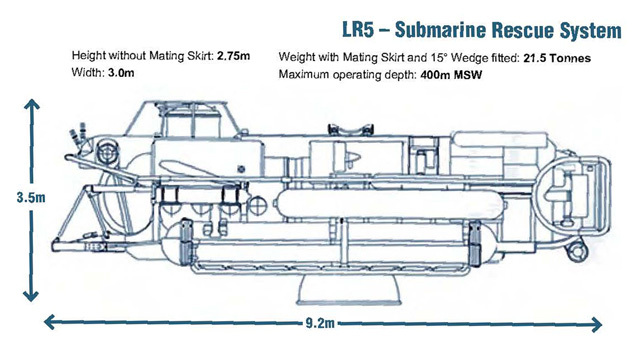 LR5 Submarine Rescue Vehicle specifications. 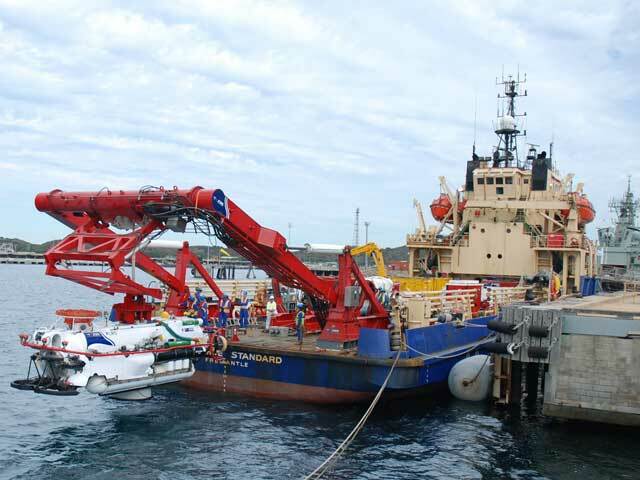 LR5 rescue vehicle is recovered to the Australian rescue ship after transferring submariners from the RAN submarine HMAS Waller while it sat on the seabed. 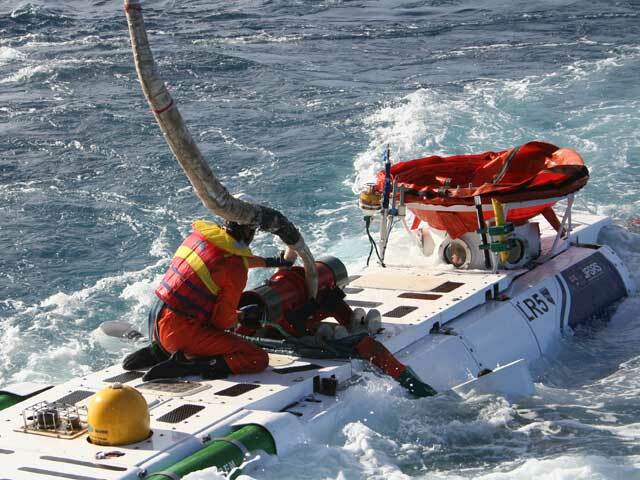 Lines are attached to the James Fisher Defence LR5 rescue vehicle by a Franmarine underwater services swimmer in preparation for recovering the rescue vehicle onboard the Defence Maritime Services rescue ship, Seahorse Standard. 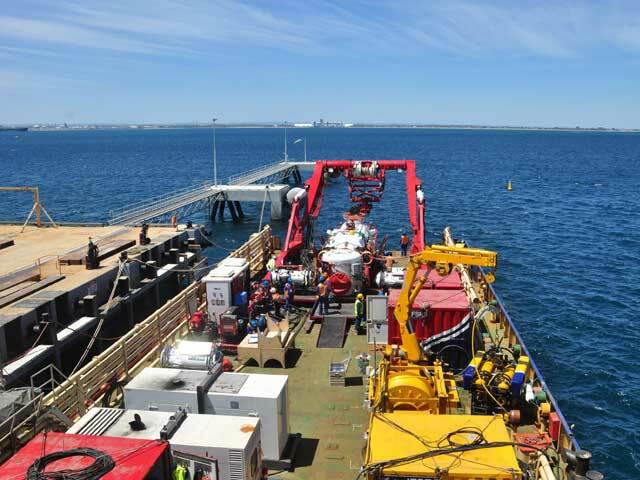 Seated on the deck is the scorpio 45 remote operated vessel with winch 7a, the universal deck reception chamber, one man transfer chamber, the portable handling systems A-frame, the LR5 Submarine Rescue Vessel, containers, workshop, cradles, and herons. Portable handling systems work boat swimmers watch as the LR5 Submarine Rescue Vessel is lowered in to the water via the launch and recovery A-frame on the rear deck of Trials and Safety Vessel Seahorse Standard. The LR5 Submarine Rescue Vessel is lowered in to the water via the launch and recovery A-frame on the rear deck of Trials and Safety Vessel Seahorse Standard. Photographs courtesy of James Fisher, Defence.